The DKN Xg03 Vibration Trainer work-out becomes accessible for everyone. A perfect blend of a full steel construction, innovative technology and quality design. The DKN Xg03 Vibration Trainer is set for WBV training at home or for rehab with physiotherapists. Compare the DKN Xg03 Vibration Trainer to PowerPlate and you will be totally shocked at the quality and options for your money. Call FitnessZone.com today to order your DKN Xg03 Vibration Trainer! The DKN Xg03 Vibration Trainer Platform produces a vibration through which energy is transferred from the platform to the body. By standing on the Platform you will notice how your body automatically adjusts to the vibrations. This mechanical stimulus produces a stretch reflex which, depending on the selected frequency, results in muscles vigorously contracting 25 to 50 times per second. Each set is performed no longer than 30, 45, or 60 seconds in length, and training sessions on the Platform need to be performed no more than 3 to 4 times per week with each session lasting about 10 minutes of actual time on the Platform. Exercise causes the body to tire; rest allows the body to recover. By repeating this process, the body adjusts to the level of effort, resulting in an increase in physical performance. This phenomenon, called super-compensation, similarly occurs when training on the Platform. However, compared with traditional training methods, greater results are achieved and hormonal production is increased in much less time. The DKN Xg03 Vibration Trainer is an easy to use, safe and effective exercise machine that provides users with a full body workout. By utilizing vibration technology, the Xg03 Pro Trainer helps increase blood circulation, energy levels and muscle definition as well as better skin and posture. Continuous use of the vibration trainer helps increase involuntary neuromuscular stretch reflex which helps boost your hormonal system response; this in turn generates Endorphins and Collagen while lowering Cortisol levels for great, overall health. 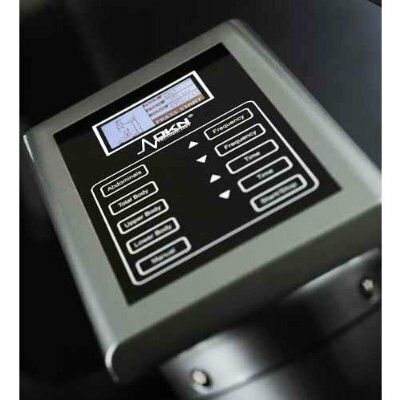 The DKN Xg03 Vibration Trainer comes equipped with an easy to use digital screen as well as four present programs and 7 frequency settings.ibre, to control the high performance accerleration. This machine is constructed for intensive home as well as professional use. Don't wait to start on the road to a stronger and healthier body call 1-800-875-9145 and talk with one of our FitnessZone agents with any questions you may have about the DKN Xg03 Vibration Trainer. Order your DKN Xg03 Vibration Trainer from FitnessZone.com today to get in the best shape of your life. Not only will your energy levels increase, your mental focus will be enriched and enhanced, and you will sleep better. The secondary effects generated will be increased blood flow and increased involuntary neuromuscular stretch reflex, which in turn will boost your hormonal system response, generating more Endorphins (happy hormone), more Collagen (better skin), more HGH (more muscle mass and less fat), and lower your Cortisol level (stress and fat accumulation hormone). Cortisol: usually referred to as the "stress hormone" as it is involved in response to stress. It increases blood pressure and blood sugar, and reduces immune responses. DKN "Personal-Coaching" backlight LCD display: 5 training modules, including a hot start mode, emphasizes simplicity and functionality. Lower Panel remote control for abdominal positions. STEEL WORKS: A one piece solid steel platform. 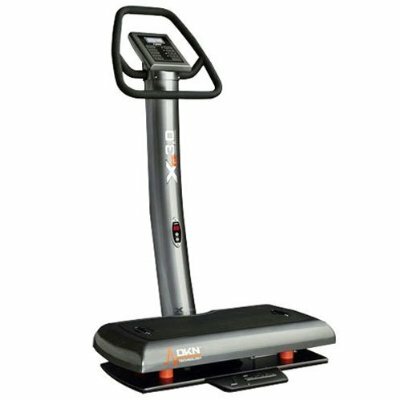 Order your DKN Xg03 Vibration Trainer from FitnessZone.com today!